THE ULTIMATE AFL PREMIERS PACK! 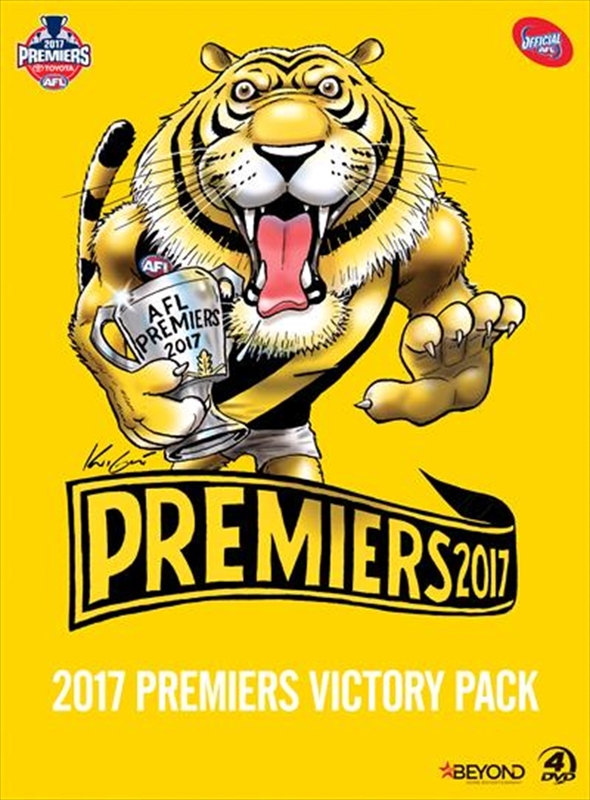 The 2017 AFL Premiers Victory Pack is the perfect collectible for every footy fan looking to celebrate their clubs historic premiership. Featuring the 2017 Toyota AFL Grand Final and the winning clubs Finals games in full, and the Official Premiers Highlights program, this beautifully-presented DVD set is a fitting tribute to the 2017 AFL Premiers season. Also available singularly is the 2017 Premiers Highlights DVD, a feature length program specially commissioned and exclusive to DVD.